Anti-GMO conspiracy theorists are promulgating a multitude of myths about the recent Farmer Assurance provision of the annual farm bill, what they erroneously have dubbed The Monsanto Protection Act (page 78, Sec. 735). Many reasonable people have bought into the hype, not because they want to join the anti-science lunatic fringe, but because the Center for Food Safety and its quack chorus are spreading blatant falsehoods about the bill. Myth 1: It allows the sale of “untested” Monsanto seeds. Food Democracy Now claims that the provision “open[s] the floodgates for the planting of new untested genetically engineered crops.” The word “myth” is too kind for this statement—a more appropriate term would be “lie.” The USDA conducts years of study of a seed’s environmental and health effects before it issues “non-regulated status” to a GE crop, even if the crop is virtually identical to those already on the market and that the GE crop’s additional genes are known to occur naturally. It then must issue an Environmental Assessment, despite already considering environmental impacts to make its non-regulated status determination. Myth 2: It allows Monsanto to ignore health risks. In fact, the provision has nothing to do with any imagined GE health risks. Rather, the Center for Food Safety and GE’s organic competitors have sued to stop GE crops on procedural grounds, not based on any evidence of injury or harm. According to the National Environmental Policy Act (NEPA), USDA must consider any possible (not actual) impact on the “human environment,” including aesthetic or economic changes, no matter how absurd. All plaintiffs must do stop the introduction of GE crops show that USDA did not “consider” some factor, not that it has some demonstrable health risk, which GMOs do not, as virtually all scientific studies have found. Myth 3: It allows Monsanto to continue to sell GE seeds, despite a court order. If a court finds that USDA did not consider some effect on the “human environment,” it essentially voids the crop’s “non-regulated” status, which reverts it to “pest” status. 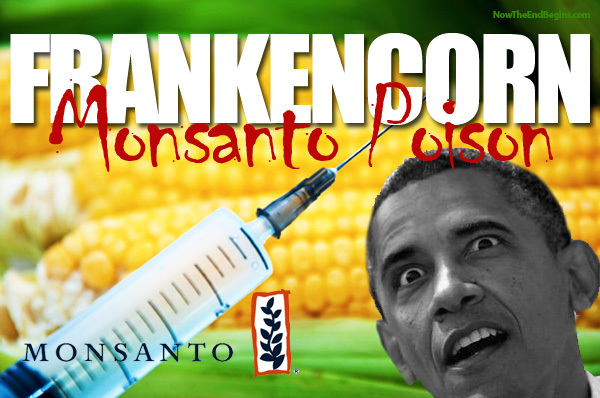 At this point, Monsanto must immediately stop selling those seeds for commercial purposes. Monsanto can only sell “deregulated” seed. The bill does nothing to change this fact. Myth 4: It gives USDA unprecedented new authority. If a court determines that USDA’s Environmental Assessment is procedurally insufficient, which reverts the seed to “pest” status, this could require every GE farmer in the country to destroy that crop. A court’s 2010 decision to void the non-regulated status for GE sugar beets would have cut the country’s sugar supply by twenty percent overnight, based on this procedural issue. But in 2011, USDA issued a partial deregulation, deregulating the already-purchased seeds under strict conditions, but banning the sale of new seeds before it completed its court-ordered Environmental Impact Statement (EIS), which found no danger from the seeds. The law does not clearly authorize USDA from issuing “partial” deregulatory status, so this bill clarifies that the agency does have that authority and requires it to use it—in other words, it codifies an already existing practice. For me as a farmer, this small piece provides me with much needed security… A single judge in California could rule that my Roundup Ready corn, which has nearly 25 years of testing, regulatory approval, and real world experience could be banned, and I would be forced to destroy my entire crop, costing me millions of dollars. It would bankrupt my family overnight. It was not enough in 2010 for Center for Food Safety to have the court order more studies. The group sued to have half the country’s sugar supply destroyed immediately—just like all the crops anti-GE protesters have destroyed all around the world. The Hungarian government, which has banned GE crops outright, actually burned more than 1,000 acres of farmers’ Monsanto GE corn in 2011. This crusade is not about consumer protection. It is a holy war that anti-biotech fundamentalists wage regardless of the consequences to the world’s poor who desperately need affordable food. The fact that the law has granted them this power is a tragedy that should be rectified. This bill makes a tiny effort to do that.